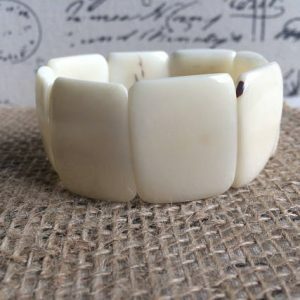 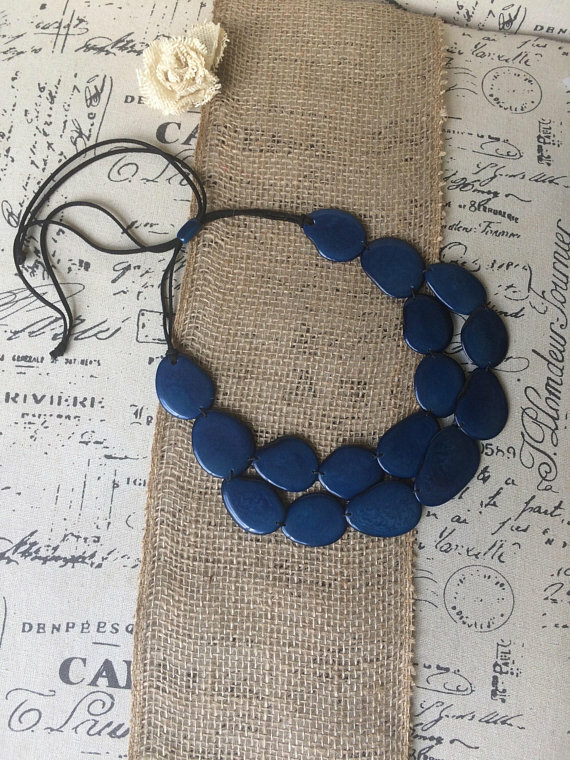 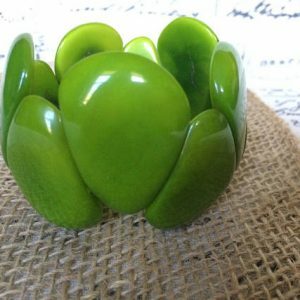 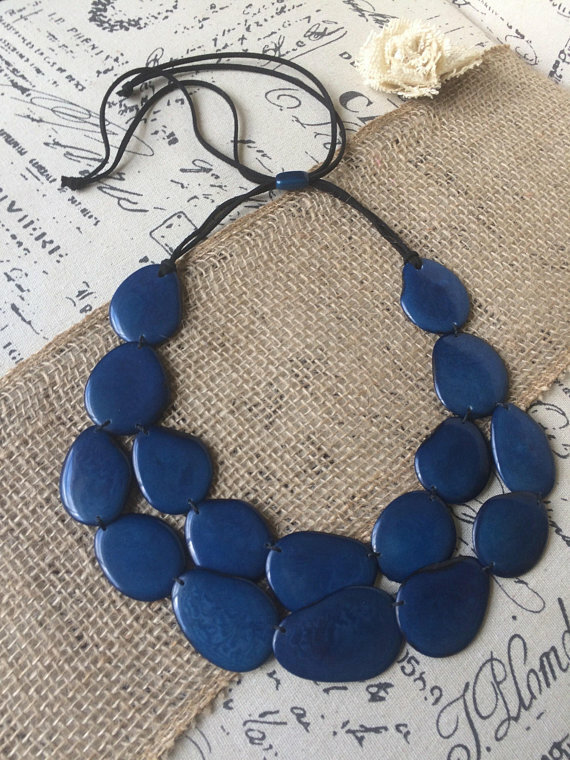 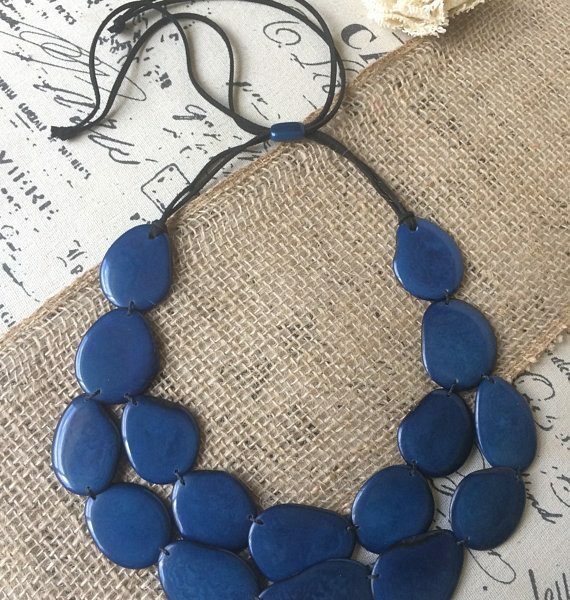 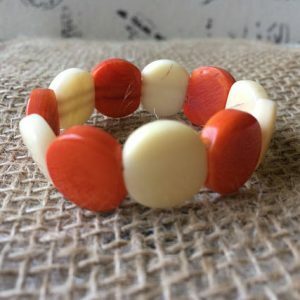 This beautiful, organic necklace is made of thin slices of Tagua seed, that have been manually carved, dyed and polish to bring to you this lightweight, yet very resistant pieces. 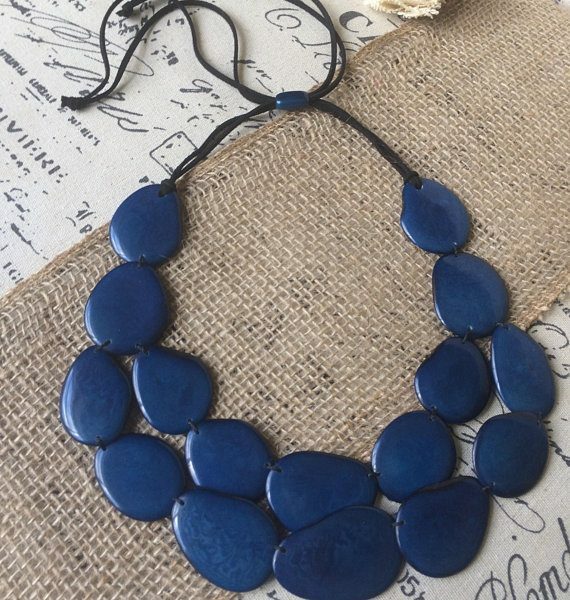 This beaded necklace consist of 2 rows of sliced Tagua nut beads, with leather straps, that go up to 32 inches long approximately. 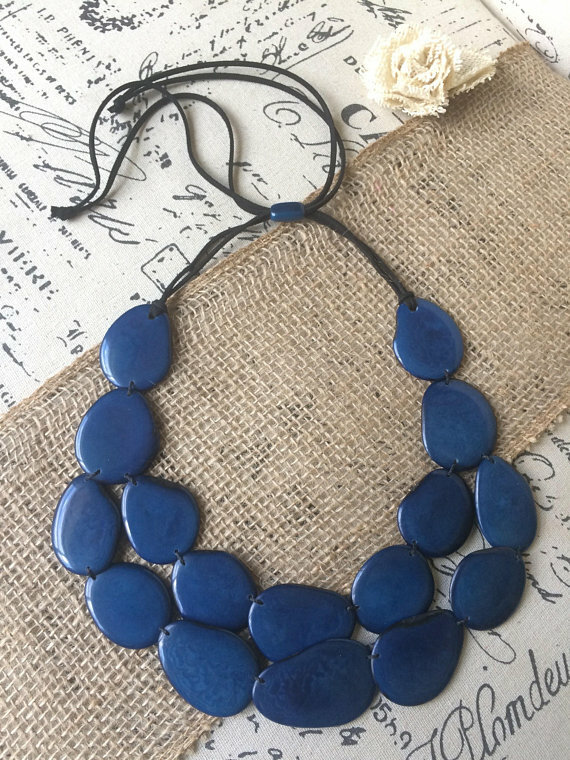 The sliding knot gives you the flexibility to adjust it where is most suitable according to the dress/top that you are wearing. 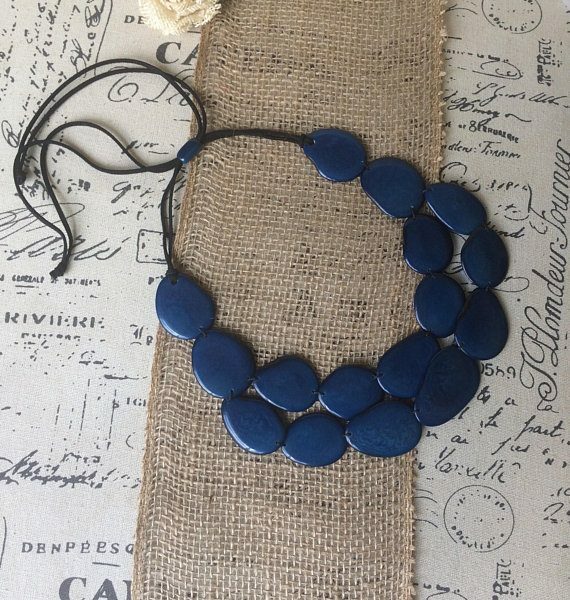 This necklace is very versatile, and will add lots of color to any of your outfits. 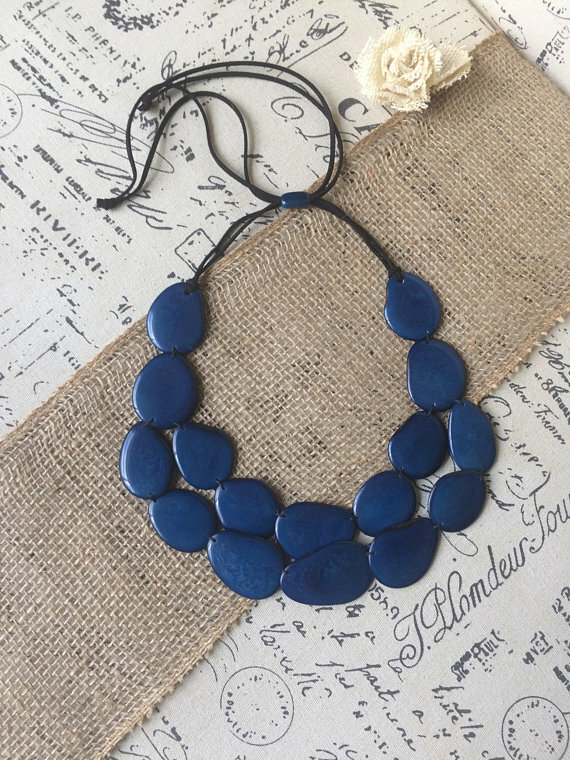 Without a doubt is the perfect gift for any occasion!